As the world embraced the global goals for sustainable development in 2015, with a clarion call to communities of the world to actively champion an end to poverty, protect the environment and ensure prosperity for all, Africa was equally charting its own destiny with the declaration of a 50 year development plan dubbed Agenda 2063 and chaperoned by the African Union. Indeed it is a noble and ambitious plan that if executed to the letter, could transform the continent thanks to the seven distinct pillars that seek to actualize it including one of a prosperous Africa based on inclusive growth and sustainable development, a peaceful and secure Africa, An African whose development is people driven among others. It goes on to capture what ails Africa and prescribes the most prolific and life changing solutions. But therein lies the problem. Africa has been here before. 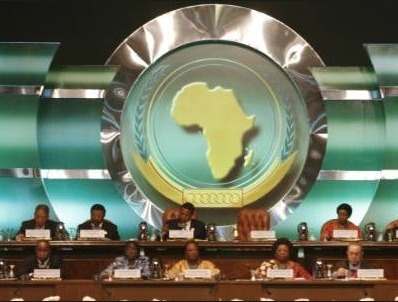 Tons of researches, declarations and recommendations following high powered African Union conferences are still gathering dust in shelves unimplemented even after millions of dollars were spent on them. Majority of Africans still ponder. Why do we need another declaration or plan yet since the existence of the AU predecessor the Organization of African Union it has been the same old tune that doesn’t translate to better lives for Africans. Policy makers can harp all the praises to the populace but if the benefits of all these declarations and agendas do not trickle down to them, it is all flogging a dead horse. Every African need to be made an active part of this agenda. National governments should be made to adopt it into their own national plans, schools should embrace it as part of the curriculum, right from primary schools up to institutions of higher learning. There should be clear cut predefined periods and metrics of measuring how the execution of the agenda is progressing. Otherwise before we know it, it will be 2050 and all we will have is the same continent and an agenda that will be relegated to the books of history.